Years ago, an elder told me that the Indigenous cultures of Abya Yala, CemAnahuac or Pachamama – the ancient cultures of this continent – do not need to be revived, because they never died. Instead, the elder said, it is we who have been severed or disconnected from those cultures. The culture, the languages, the songs and the stories are all there – rather than revive them, we just need to access them. And equally important, we also need to create and contribute to our own cultures. I think about that now because of two monumental educational struggles taking place in Arizona and California, both of which have been instrumental in reconnecting our communities to ancestral and living Indigenous knowledges. In both cases, the schools and programs in question continue to be under daily siege. In Tucson, the highly successful Raza Studies program has been dismantled whereas in Los Angeles, the charter for Anahuacalmecac is on the verge of being revoked. 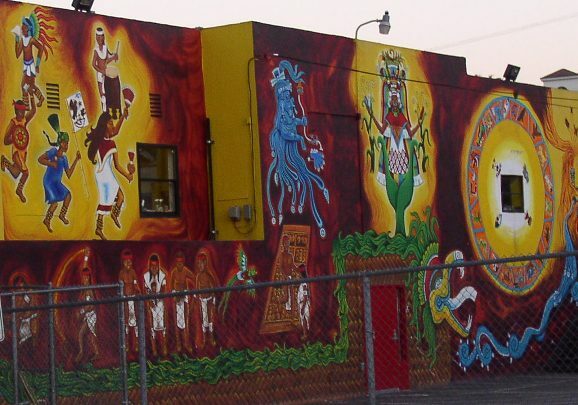 Many people consider Tucson, Arizona the epicenter of the struggle for ethnic studies – the epicenter of the struggle to preserve Raza Studies – and it is. It is the epicenter of something very special, but for a quite different reason than most people think. Tucson’s Raza Studies department was the holdout or the exception in the realm of public education. When Raza Studies educators were teaching In Lak –Tu eres mi otro yo – You are my other me -and Panche Be – buscar la raiz de la verdad – to Seek the root of the truth – very few public school teachers, much less schools or school districts, were doing the same anywhere in the country. That was not accidental. Cultural genocide was a project (reducciones) central to the mission of colonization. This is why most people today cannot even name 3 Indigenous pre-invasion cities on this continent, much less their histories. It is why most Mexicans/Central and South Americans, who live in the United States, can speak English or Spanish, but not an Indigenous language. The Tucson Raza Studies curriculum was a showcase of what the rest of the nation’s pubic schools could teach. 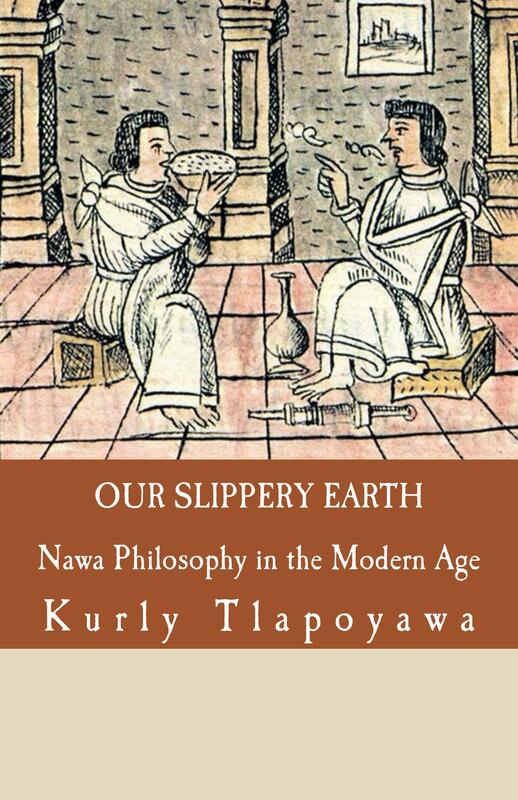 Maíz or Maya-Nahua culture was its philosophical root. The teaching of the Four Tezcatlipocas (The Indigenous-based values of Tezcatlipoca-self-reflection, Quetzalcoatl-wisdom and beautiful knowledge, Huitzilipochtli-the will to act, and Xipetotec -transformation) and the Aztec-Mexica Calendar was also the heart and soul of that root. As the struggle continues in Tucson, we turn to Los Angeles where there is actually a school, Semillas, that was created at almost the same time (2002) as TUSD’s Raza Studies. In a cultural sense, Semillas’s goals – and its project – have been much broader than Tucson’s program. And being an independent charter school, it could afford to. Its goal was to create an Indigenous school with an Indigenous curriculum, connected to its surrounding community. 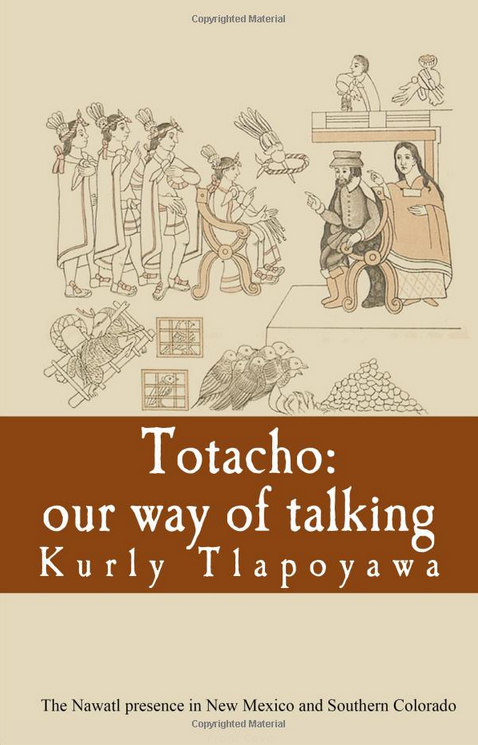 Its goal was to create students who were not simply bilingual, but trilingual: English, Spanish and Nahuatl. In effect, it is a de-colonial project; its emphasis is an autonomous education model that teaches Indigenous culture, values and language, referred to as Tlamachilisxochiponajle or flowering knowledge. Akin to Tucson’s Raza Studies, the Semillas schools – comprised of Xinaxcalmecac (2002)and Anahuacalmecac (2008) – have been successful by the standard of student success: The students exceed all state standards and the college-going rate for Anahuacalmecac graduates is 80%. But more importantly, the Semillas schools are now a cultural and educational fixture in Southern California. What they have done is nothing short of phenomenal. via LA Indigenous School May Lose Its Charter Due to Arizona-style Politics.